Whatever you think about potential presidential candidate Bernie Sanders, there is no denying he has put forward some excellent ideas. He has also put forward some ideas which sound great on paper, but could present some serious problems further down the line. And finally, he’s presented some downright stupid ideas. We want to tackle his proposal of free college for everyone. Is it one of those ideas that sounds too good to be true? Or is it really downright stupid? [post_ads]It is quite commonplace for progressive politicians to push the idea of free education for all, nowadays. After all, it definitely sparks the interest of young people and the parents of these young people. Imagine not having to pay for college? Being able to earn a degree and not end up in a huge amount of debt? Particularly with rising tuition fees and many people now avoiding higher education altogether, as they simply can’t afford it. Bernie Sanders has definitely jumped on this bandwagon by saying that if he gets elected, he will provide a 100% tuition free education system in America. It all sounds great on paper – after all, who is going to say no to free learning? Sanders also bought up some other countries in his speech, including Finland, Sweden, Germany, and even Mexico. One of the biggest problems with this free college proposal is simple math. If you want to offer a free education for everyone, then where is the money going to come from? In the examples that Bernie Sanders gave, he forgets to mention that these guys spend a lot more money on taxes than Americans. In fact, Germany has one of the highest income tax rates on the planet. Why? Because they’re using it to fund free education for all… That’s why. Currently, universities across America receive around $70 billion a year in tuition fees. 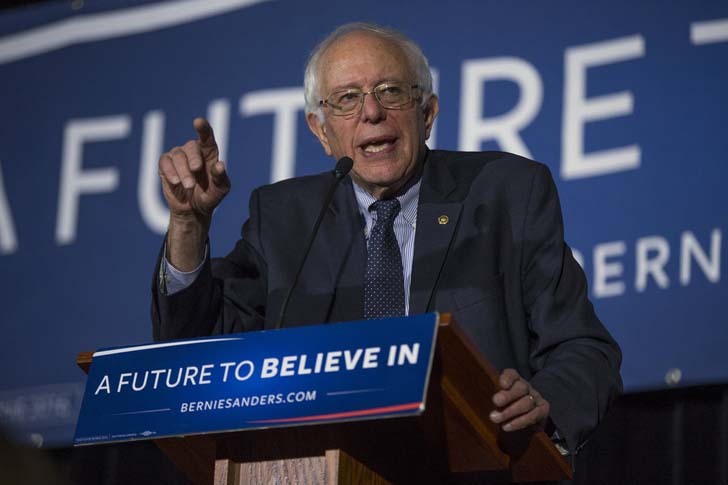 In Sanders’ plan, he’s offering $47 billion per year to cover the costs. So, where does the rest of the money come from? Each State would have to make up the shortfall themselves. We’d love to know where that is going to come from. It’s likely to be out of the pockets of every worker in the country. Another argument for free education is that America will soon have a more educated workforce. If more people can afford to go to college, then there will be more people with degrees. Ignoring the fact that schools are likely to have to cut funding (as they simply won’t be able to afford it), there are other real issues with this argument. The US already has a pretty impressive number of further educated adults in the country – 45% to be exact. When you look at the countries with higher numbers you’ll see that they don’t offer free education. South Korea is top with 67%, followed by Japan at 58% and Canada at 56%. Other than Norway and Sweden (47% and 45% respectively) the other countries offering free education are trailing behind America. Germany, an often used example for free education, has a measly 30% of higher educated adults in the country. So, what exactly would providing a free education do? By the looks of the numbers it’s not exactly going to have a real impact on the number of higher educated adults in the country. And, there is still no real plan as to who or what is going to cover the cost. While it seems like a nice idea to have free education for all – is it really feasible for a country like America?